wear the apparel of fury. but here we have bars and we walk our dogs. they have predicted it several times. that night when they were young and mercenary. Yes, with you it was the first time I shouted so loudly. With you I began to clench my fists so many times. you don’t want to appear better when you take the stand. and announces it is time to go. in streets announced by a sensationalist prophecy. which is nothing else but death. it spreads out with its sensationalist alphabet. the patria of flabby men at the foot of a flag. the Carla Angola we all carry inside. women or a house with a garden. if the wolf is the worst thing that can happen. you will have a fat belly and a depressive wife. white beds and resentful details. 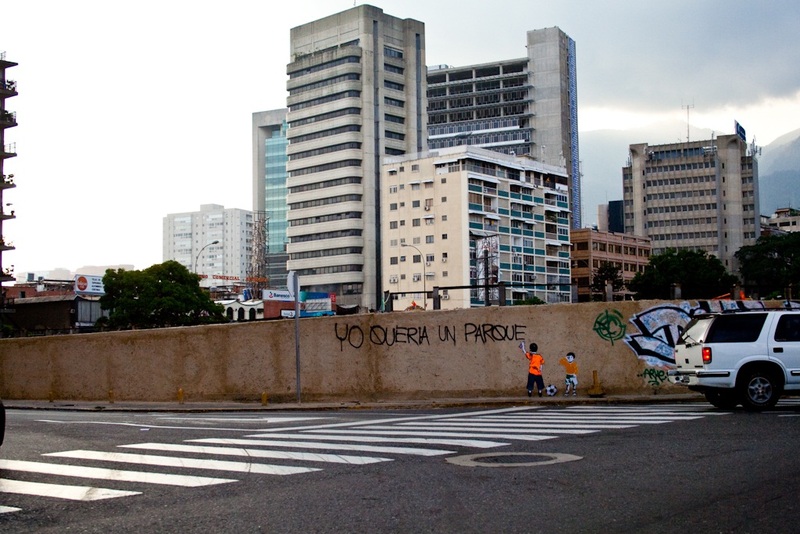 because beyond Caracas there are even birds. and to the sea that is delayed from the other side. prohibits us from separating in the honour of the cry. llevan el ropaje de la furia. pero aquí tenemos rejas y paseamos al perro. lo han pronosticado varias veces. aquella noche en que eran jóvenes y mercenarios. Sí, contigo fue la primera vez que grité tan alto. Contigo me inauguré en cerrar los puños tantas veces. no quieras parecer mejor cuando subas al estrado. y anuncia que es hora de irse. en calles anunciadas en una profecía amarillista. que no es otra cosa que la muerte. se despliega con su alfabeto amarillista. la patria de hombres flácidos al pie de una bandera. a la Carla Angola que llevamos dentro. las mujeres ni la casa con jardín. si el lobo es lo peor que puede pasar. tendrán la barriga grande y una esposa depresiva. camas blancas y resentidos pormenores. porque incluso detrás de Caracas hay pájaros. y al mar que se demora del otro lado. nos prohíbe separarnos en la honra del grito. 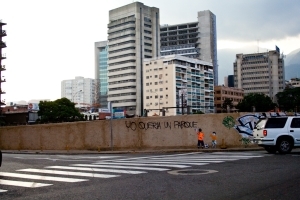 February 1, 2013 | Filed under Cherilyn Elston, Enza García, Voices from the Venezuelan City and tagged with Enza García.